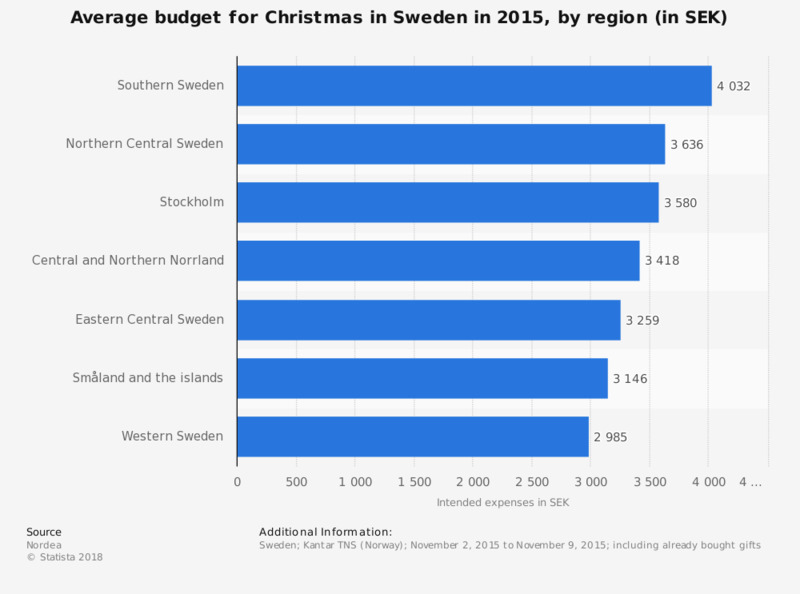 This statistic shows the results of a survey on the average budget for Christmas gifts in Sweden in 2015, by region. As of 2015, the intended expenses for Christmas gifts of people from Southern Sweden amounted to 4,032 Swedish krona. This statistic is based on an online survey of roughly 1,000 respondents in Sweden aged 18 to 65 years. The original question was phrased by the source as follows: "Hur mycket kommer du att köpa julklappar för i år, på ett ungefär? Om du redan har köpt julklappar inkluderar du även dessa i summan."